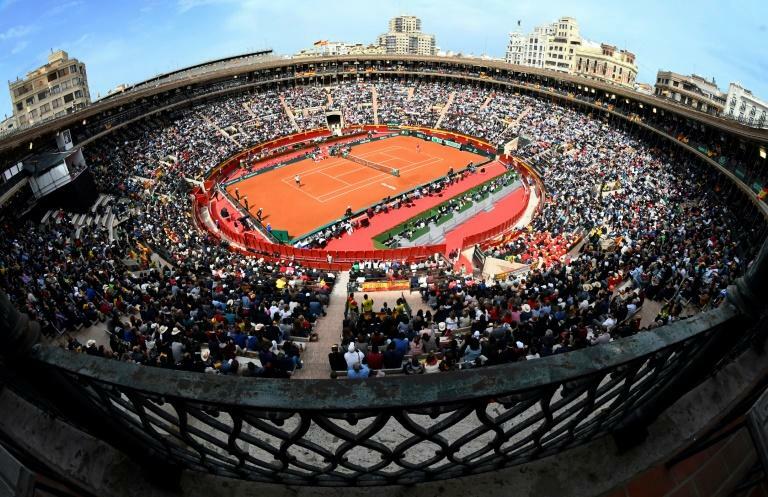 A major Davis Cup revamp that would condense the annual global tournament into an 18-team, week-long event will be voted upon Thursday with major tennis leaders divided over the proposal. 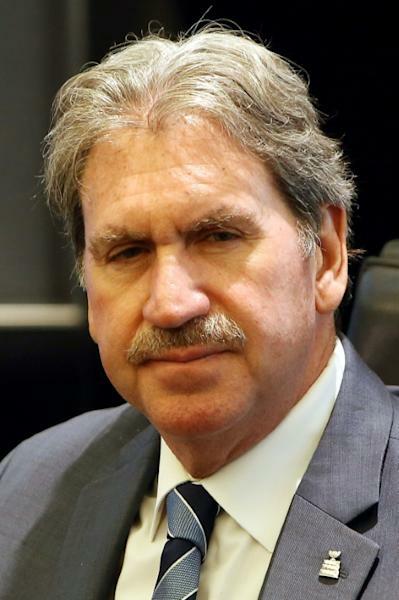 The International Tennis Federation annual meeting in Orlando will see about 120 delegates decide the fate of the 118-year-old men's team competition with two-thirds majority support needed to approve the measure, which is backed by federation president David Haggerty. Kosmos, a group led and founded by Barcelona football star Gerard Pique and backed by Japanese billionaire Hiroshi Mikitani, has vowed $3 billion over 25 years to support the new event. Haggerty vows more money, about $25 million, will go to national tennis associations to invest in grassroots level support. "The money that we make will be put back to the nations for their development programs and the future of tennis," Haggerty said. But opponents of the plan include Tennis Australia and Britain's Lawn Tennis Association (LTA). "There are a lot of people, a lot of current and former players, who are frustrated by it and see this as a money grab," Aussie Davis Cup captain Lleyton Hewitt said. Added Aussie tennis legend John Newcombe: "Unfortunately their plan is a recipe for the death of the Davis Cup as we know it." The LTA came out against the reforms Wednesday ahead of ITF delegate discussion on the plan. "After consulting widely, regrettably, we do not feel we can support the proposals as they stand," said LTA chief executive Scott Lloyd. An LTA statement cited concern over scheduling the event in November, stretching the schedule after the ATP season-finale into an already-thin off-season, risking top player attendance and fan support. The LTA also raised concerns over "the clarity of how the business case will work in practice" and the great division over the idea. "The strength of the ITF in governing and developing tennis across the world will be reinforced by bringing tennis together behind a unified proposal and the LTA feels we have not yet reached that point," the LTA said. The Davis Cup is played in February, July, September and November at home and away venues around the globe, the best-of-five match ties following Grand Slam events until the final round. Many top players have skipped it in recent years to ease their schedule load. The proposal would create an 18-team one-week finals in November: 12 winners from 24-team home and away qualifying in February, the prior year's four semi-finalists and two wild-card nations. Six round-robin groups of three would send group winners and two runners-up into knockout round playoffs. The finals would feature two singles matches and one doubles match in one day, and all would be best-of-three sets as opposed to the current best-of-five. Haggerty called the reform plan "key to ensuring that the ITF and its member nations will guarantee a bright future for the sport." Another backer of the idea is US billionaire Larry Ellison, who says he will invest in a revamped Davis Cup and says his Indian Wells facility is a candidate to host the event in 2021 after plans to host it for two years in Europe. But Alex De Minaur, a 19-year-old Australian, recalled a fifth-set Davis Cup tie-breaker loss before cheering home fans to third-ranked Alexander Zverev as "the best four hours I've ever spent on the court. It still gives me goosebumps thinking about it." He doesn't want a format change that might deny him such a thrill. "It would be the stupidest thing in the world to get rid of it," De Minaur said. A wildcard is the revived ATP World Team Cup set for January 2020 with 24 teams, prize money and rankings points in Australia ahead of the Australian Open. It would be staged just six weeks after the Davis Cup event, scheduling that ATP executive chairman Chris Kermode described as "insane."